Judo is a form of martial arts that is practiced widely around the world. The certificates below have been designed especially for judo experts. 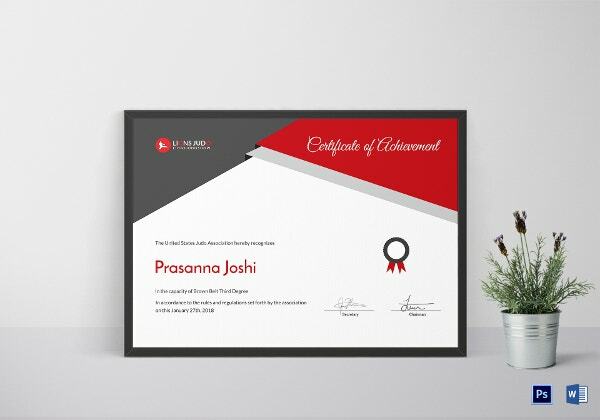 These certificate templates have been designed specifically for the occasion and would come in handy in a number of occasions. The best part is, the judo certificates provided here are exceptionally easy to use. You wouldn’t require technical knowledge to use them. All you have to do is click the download option! 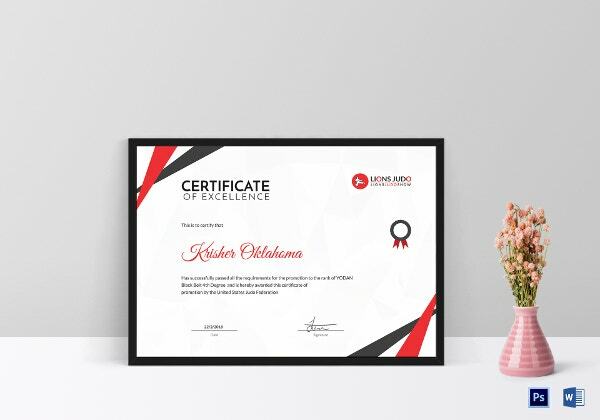 This certificate comes with word and psd compatibility, easy customization of color and text, standard size with allowance for bleed, a CMYK colour mode, fairly high resolution of 300 dpi and a print ready format. 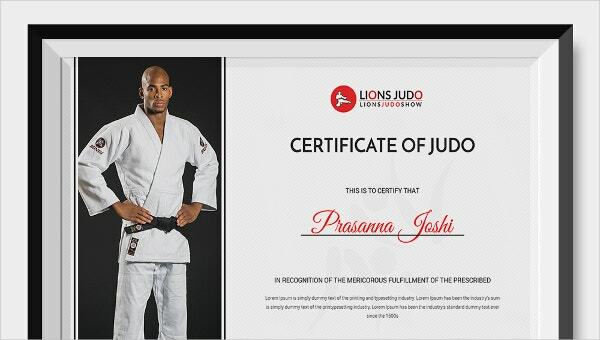 This judo certificate template looks very stylish and sleek. The color scheme used is in a CMYK mode and would add a different aura to your judo certificate as well. 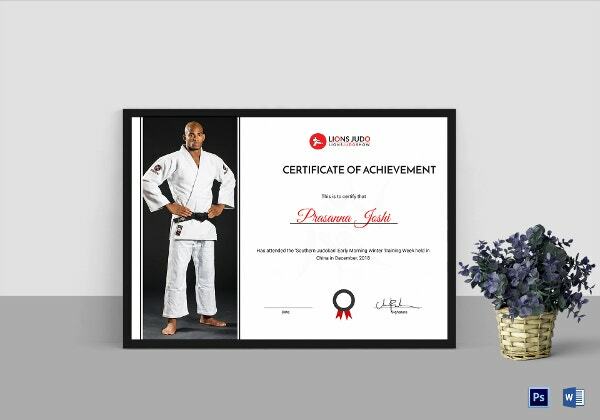 This judo certificate template comes with an image forming the background. You can choose to retain the image or even remove it and add your own. The choice is entirely yours. This judo certificate template comes with easy customization of color and text. Basically, all the elements that you see on the certificate template may be edited to suit your requirements. 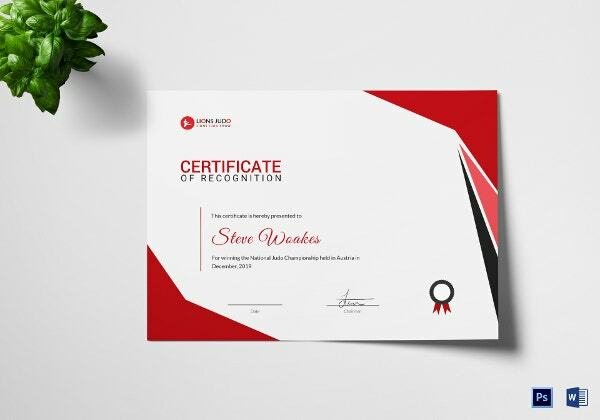 This judo certificate template comes with easy customization of color and text and also with word and PSD compatibility. That makes the template exceptionally easy to use, edit and personalize. Use judo certificate templates to design your certificate. This way, the format would already be created for you. You just have to customize them according to your needs. Use judo certificate templates that come in a standard format that is easy to use. That reduces your hassle. Do not miss out on important points that could get in the way of a fantastic certificate. > What are the Different Elements of Judo Certificates? The certificate must have a clear border. This is of the utmost importance. 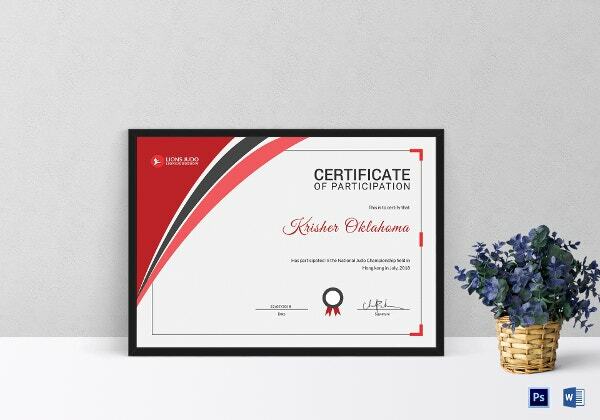 The purpose of the certificate must be stated at the very beginning. This essentially sets the tone for the rest of the certificate. All the elements of the certificate must be organized properly on the certificate in a tidy fashion. The name of the person being certified must be written in clear well-defined terms. Also, you can include other details if you want. By now, you should have a fair idea of what judo certificates contain. That should have made creating the judo certificates a whole lot easier. Once you download the templates, you can just start editing and customizing them as per your requirements. The whole process is really simple.